ANTIBODY THERAPEUTICS ARE ENJOYING HIGH GROWTH RATES. IN 2016, FIVE OF THE TOP TEN BEST-SELLING GLOBAL DRUG BRANDS WERE MONOCLONAL ANTIBODIES (MABS) AND MORE THAN 400 MONOCLONALS WERE IN CLINICAL TRIALS. THE CHARACTERIZATION OF THESE COMPLEX BIOMOLECULES IS A MAJOR CHALLENGE IN PROCESS MONITORING AND QUALITY CONTROL. 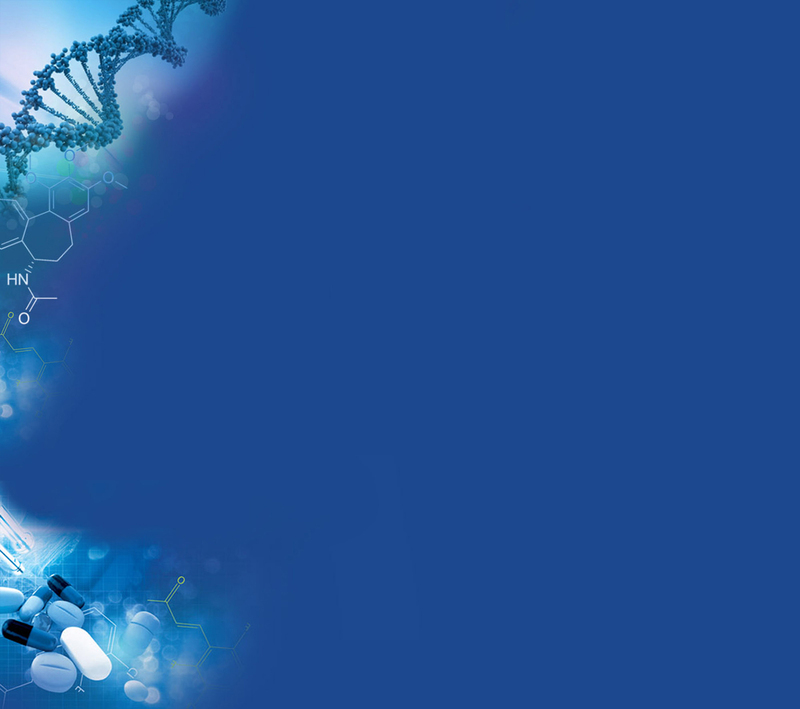 THE MAIN PRODUCT CHARACTERISTICS TO BE MONITORED ARE AGGREGATE AND FRAGMENT CONTENT, GLYCOSYLATION PATTERN AND CHARGED ISOFORMS. The standard method used in biopharmaceutical QC for mAb aggregate and fragment analysis is size exclusion chromatography (SEC). A new series of 2 micron silica based UHPLC columns with 25 nm (250 Å) pore size can be applied to either increase speed or improve resolution of the separation of antibody fragments, monomers, and dimers. 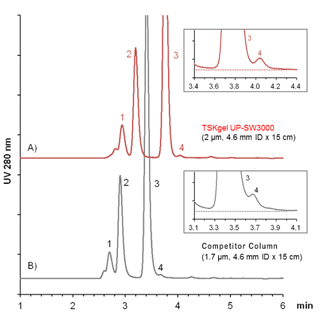 Compared to a commercially available 1.7 micron UHPLC column the calibration curves of the new TSKgel UP-SW3000 2 μm column (see Figure 1) shows a slightly shallower slope in the region of the molecular weight of -globulin. These differences in the separation range and steepness of the curves are related to a slight difference in pore size (25 nm for TSKgel versus 20 nm for the 1.7 µm material). 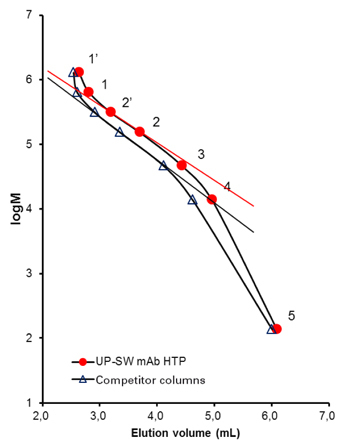 The separation of an antibody sample on the new 2 μm packing compared to the competitor UHPLC column shows that the small difference in pore sizes results in a better separation in the molecular weight range of antibodies, fragments, and aggregates. Due to the wider separation window the resolution between monomer and dimer as well as dimer and trimer is slightly higher with TSKgel UP-SW3000 although particle size is slightly larger than in the competitor column. Moreover, also the fragment peak is more clearly separated from the monomer peak. TSKgel UP-SW3000 is ideally suited for the analysis of the aggregate and fragment contents of antibody preparations. It features the same pore size as the renowned TSKgel G3000SWXL and TSKgel Super mAb columns while improving resolution through a smaller particle size. Based on the optimized pore size and the high degree of porosity the resolution in the molecular weight range of immunoglobulins is even superior to a competitive UHPLC column with slightly smaller particle and pore size.